For many gardeners around the world, the word camellia conjures up images of a reliable shrub that produces gorgeous autumn and winter displays of pink, red and white flowers or sometimes combinations thereof. These flowers come in a range of interesting flower types from the simple ‘wild’ types to the multi-petalled ‘formal’ and ‘informal’ double types. The glossy dark green foliage also makes a wonderful backdrop in the garden as a stage for displays of other flowering plants. A recent visit to the Yunnan Province of China has taught me a whole other side to the versatile camellia genus. This amazing place is home to a range of Camellia species that have been an integral part of the culture here for many hundreds of years. 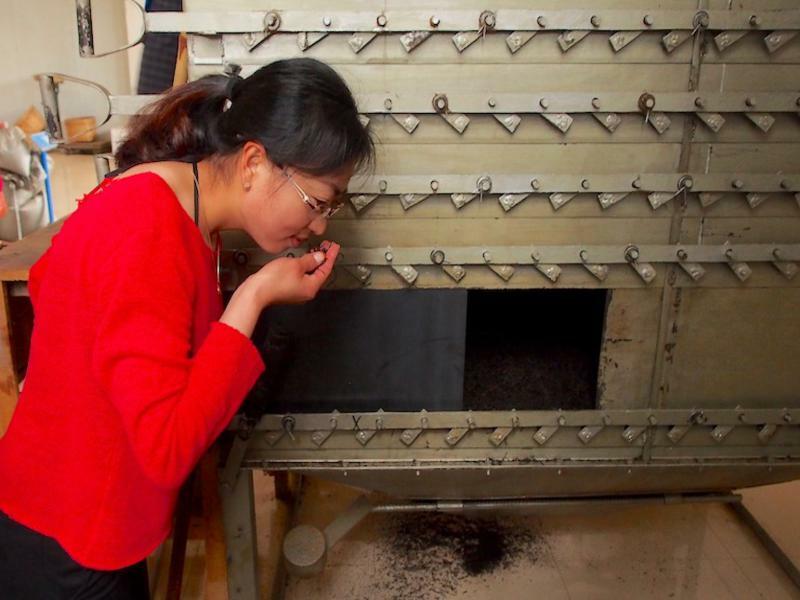 Over countless generations of humans and plants, an incredible array of genetic types has come into cultivation and is now an integral part of the culture of China. In turn this culture was spread around the world by various plant hunters from the western world through the late 19th and early twentieth centuries. Horticultural historians and botanists are well acquainted with names like George Forrest, Frank Kingdon-Ward, Pere Delavayi and Joseph Rock. Their adventures in collecting the botanical treasures of the mountains of Yunnan changed the face of gardening throughout the western world, and they must have been rubbing their eyes when they saw the various forms of camellia that had already been selected and improved by the local people over countless generations. 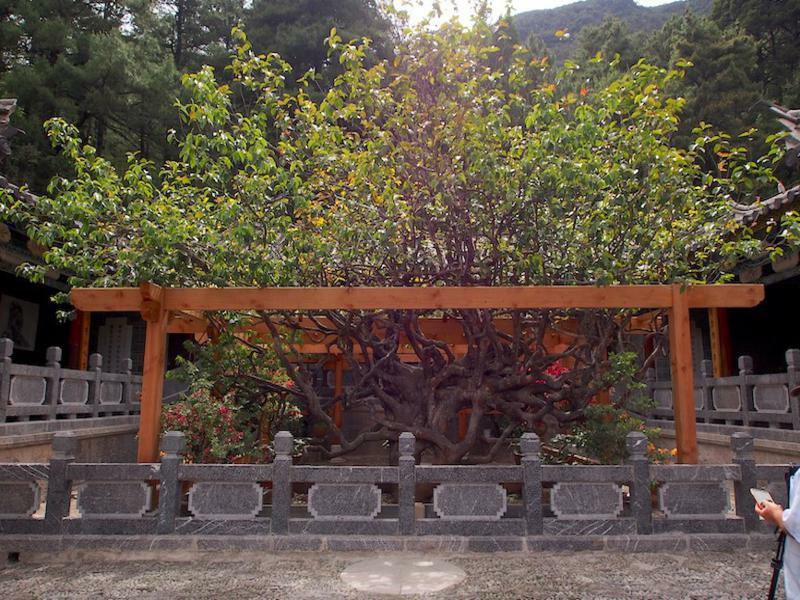 The cultural significance of the camellia is evident in places like the Yufeng Buddhist Temple near Lijiang, where there is a famous plant called the “Ten Thousand Flowered Camellia” which is reputedly over five hundred years old. 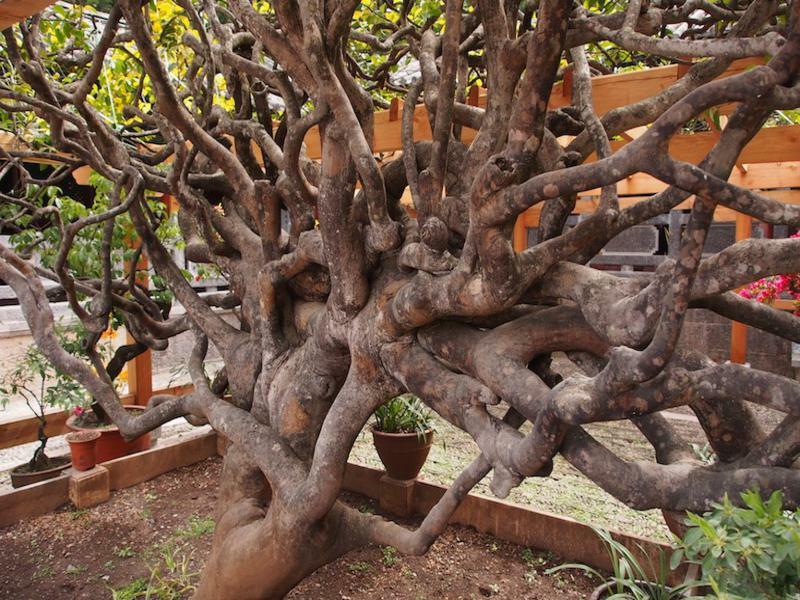 This remarkable specimen of Camellia reticulata (which features possibly the largest flowers in the genus) takes pride of place in the courtyard garden of one of the temples, and consists of two varieties of C. reticulata grafted and growing together. The trunk is an interwoven series of sub-trunks that have grafted themselves together and been trained into a single plane, perhaps best described as a free standing espalier. This particularly remarkable camellia specimen is rich in symbolic meaning for the Buddhists who worship there, and is an ample demonstration of the cultural importance placed on this genus in its homeland. 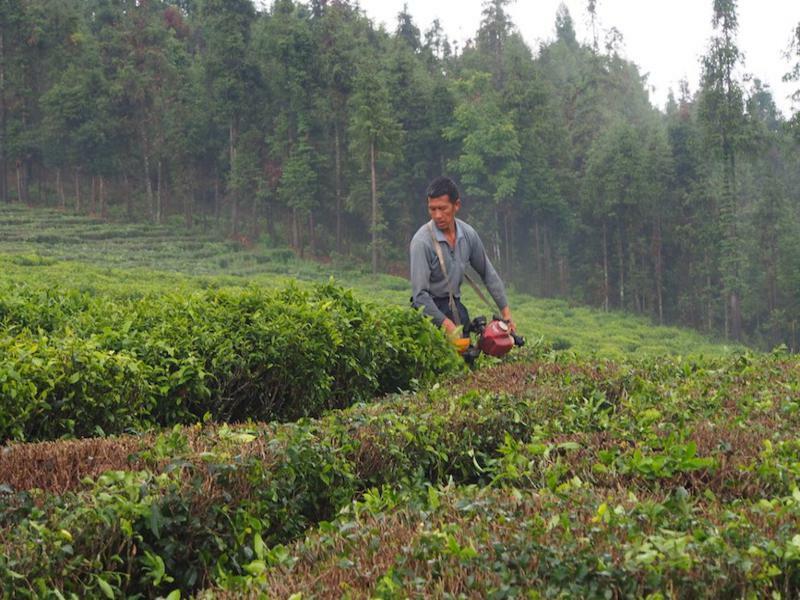 Another amazing cultural phenomenon that the camellia has brought the world is that almost universal beverage, tea. In fact the plant family to which the camellia belongs is called Theaceae. 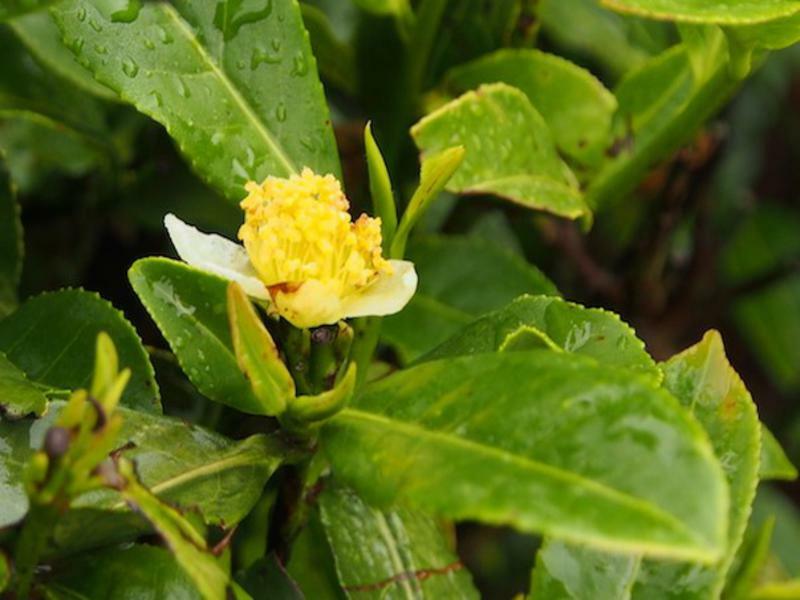 It is often a surprise to people to learn that the ‘tea plant’ is none other than Camellia sinensis, a rather unexciting prospect as a garden plant due to its small flower size. However, what it lacks in flower power, it more than makes up for in providing one of the world’s great beverages. 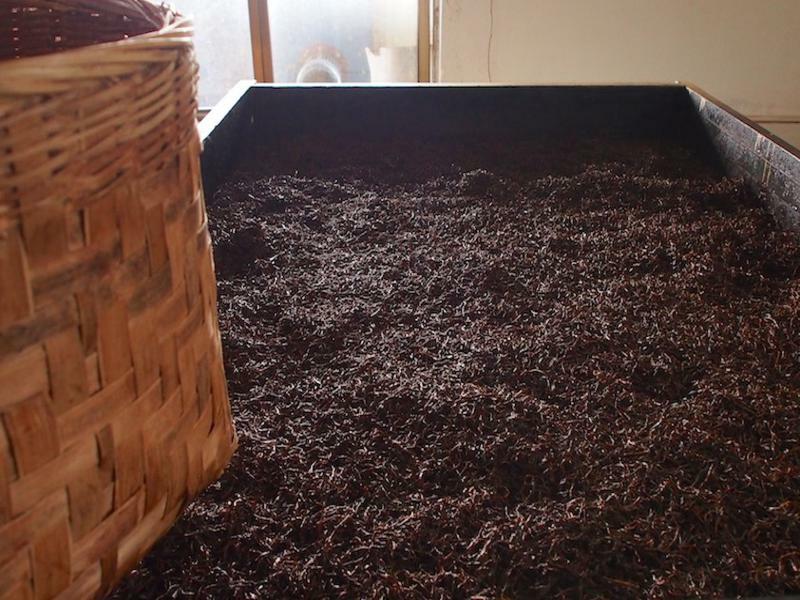 The obsession with coffee in all its various styles and concoctions has, in recent times, overshadowed tea in various parts of the western world. No such problem in Yunnan, where the reverse applies. 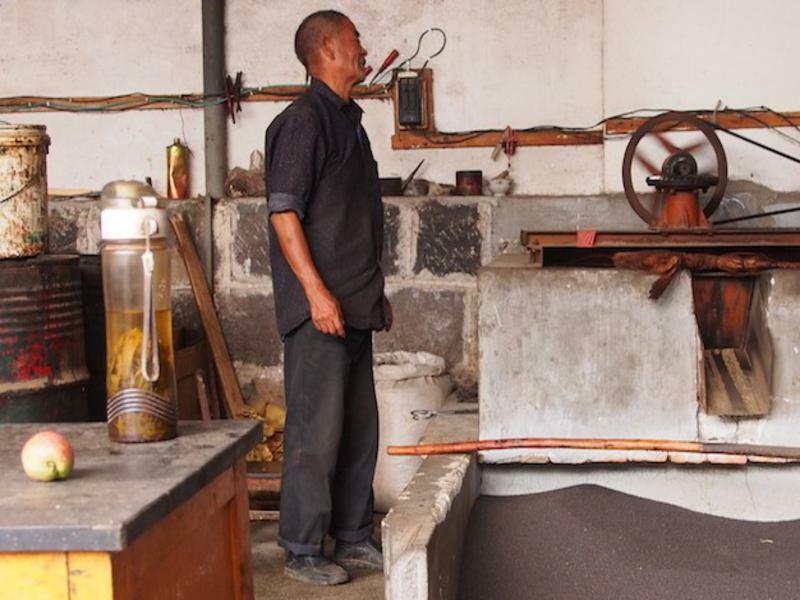 Even though coffee is grown in the south where it is more tropical, and marketed throughout Yunnan, it is tea that most of the locals drink. Indeed, it is common to see locals with a flask that has a base of tea leaves and is topped up with hot water throughout the day. Green tea in particular is consumed in great quantities, and is reputed to aid digestion, and I must say that it seemed to work for me as I consumed it with every Chinese meal I consumed with (in my mind at least) positive results. 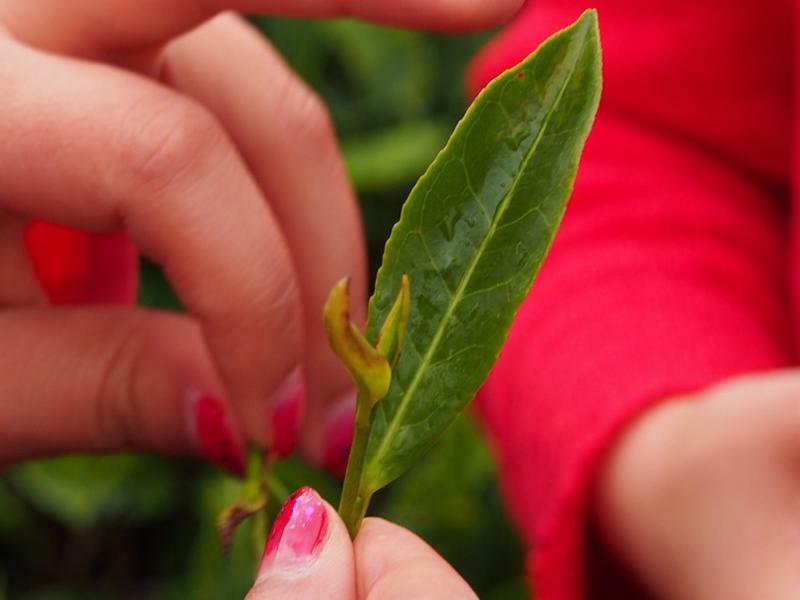 I also learnt that there are many types of tea whose make up depends on a variety of factors such as the particular variety of Camellia sinensis used to produce it, the type of leaves harvested as well as the time of harvest (unexpanded growing tips harvested in early spring provide the ultimate tea) and the way in which the leaves are processed. 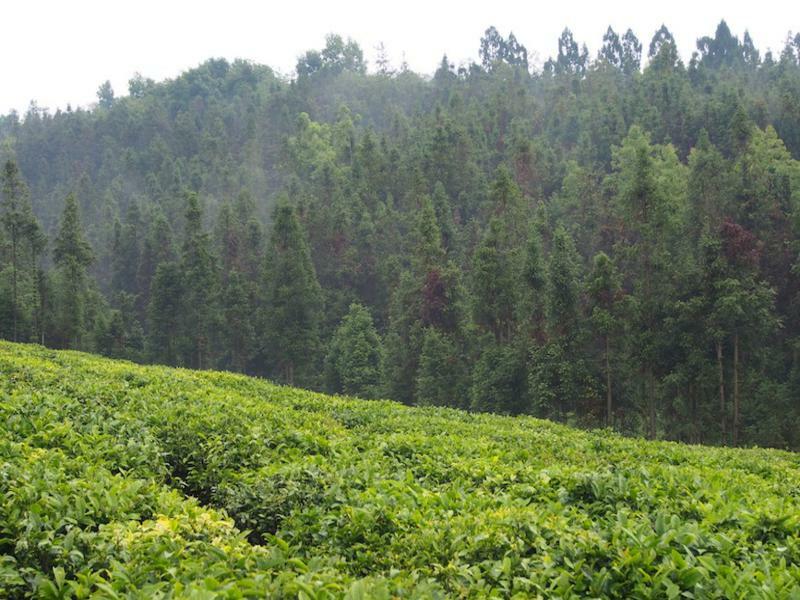 For instance, the difference between ‘black’ tea and ‘green’ tea lies in the processing, more specifically the degree of oxidation of the leaf tissue (the longer the leaves are stored and exposed to oxygen through aeration, the greater the degree of oxidation and the darker the tea). 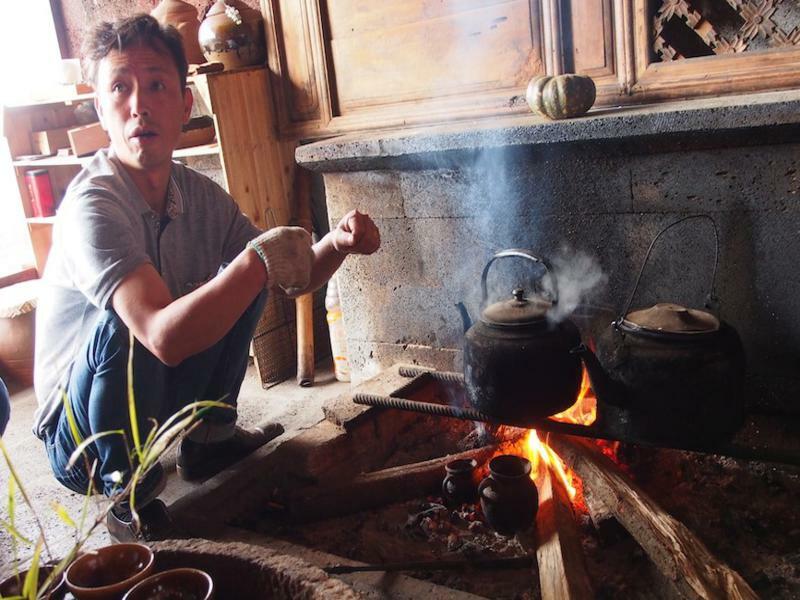 As well as the more familiar green and black tea and infusions of other botanicals such as jasmine, you can also have white or yellow tea, or a rare local delicacy called pu-erh tea which is made by a fascinating process of steaming followed by compression into a tea ‘cake’. 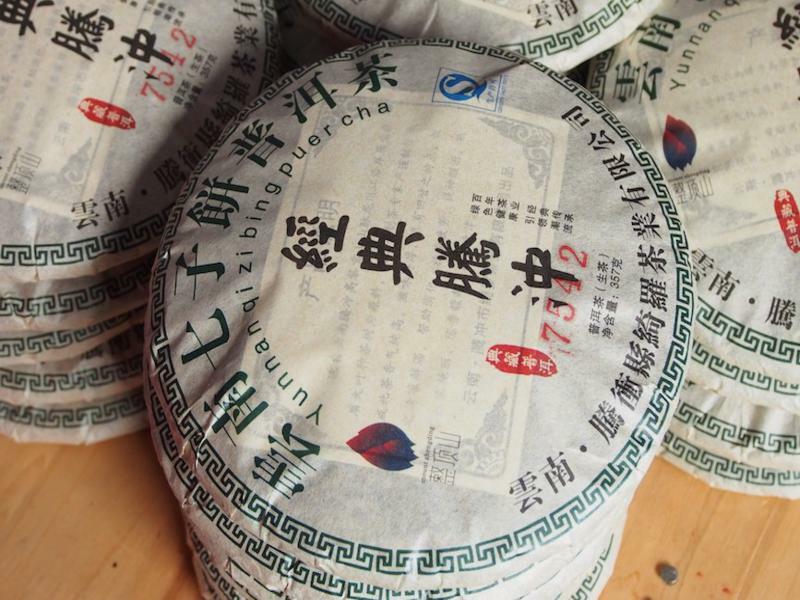 Pu-erh tea apparently evolved from the need to freight tea on pack horses along the great trade routes that took produce from Yunnan to various parts of Asia and Europe. I also sampled a fascinating brew known as ‘thunder tea’; brewed by charring rice grains beside an open fire and then pouring green tea over them, creating a distinctive explosive noise that gives the beverage its name. The smoky flavour of the tea was very distinctive and one I could easily get used to, although the elaborate preparation method would limit its use to special occasions I suspect. Other species of camellias are also harvested for tea, including the garden favourite C. japonica. Apparently the seeds of Camellia sinensis and C. oleifera are also pressed to extract tea oil that is used as a cooking oil and seasoning, and possibly one of the healthiest choices of the various botanical oils used in food preparation. 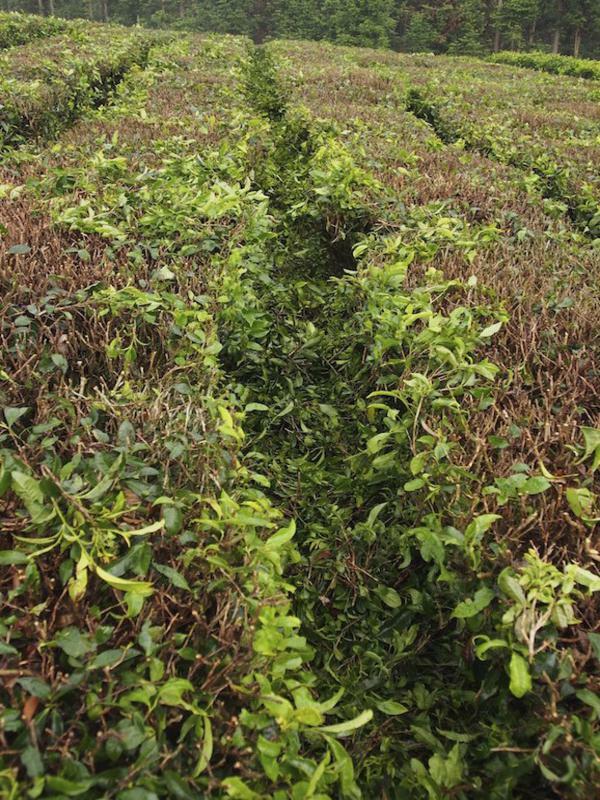 Scientific studies have revealed the presence of some unique biochemicals such as catechin in camellias which may support some of the medicinal claims made about the various teas and oils produced from them. It should also be pointed out that caffeine and oxalates are also part of the camellia ‘mix’ and overconsumption of camellia products can also lead to harmful levels of these biochemicals. Moderation in all things is always a safe bet in the use of botanical products in my experience, as ‘natural’ products can be just as harmful as artificial ones. All in all, my visit to Yunnan was an incredible lesson on how much there is to learn about the place of some of the garden favourites of the western world and I will never look at those glossy camellia leaves in the same way ever again. I am now thinking about a journey of discovery to South America to learn about the cultural significance of plants such as potatoes and petunias. Sounds like an excellent excuse anyways…. 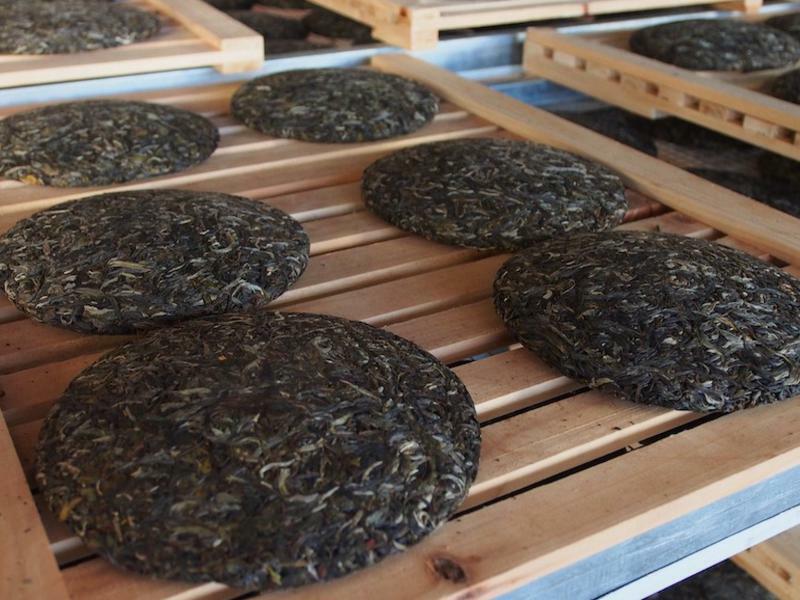 What a fantastic trip, and so much info, is the puerh available in oz.